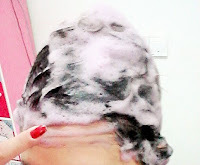 Today I want to make the testimonial about hair color from Etude, called "Etude, Bubble Coloring Hair". I used this brand before. Before I choose sweet orange for my hair. My real hair color is black, like any other Asian hair. But when I used the sweet orange, the color is really popping out, especially when you are under the sun or light. Since I used the sweet orange in my hair for more than 6 months, and the new hair already grow, I decided to change my hair color, with the same brand too, Etude. 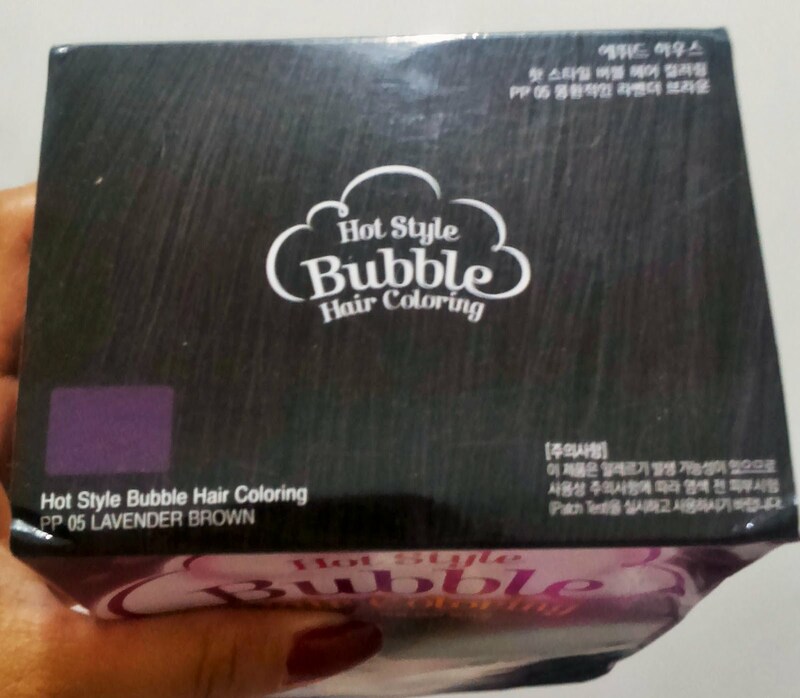 Why I use Etude, Bubble Coloring Hair? Well, because it's easy to use. Mix the stuff at sachet 1 to the bottle 2, shake shake shake... and you can use it like you using shampoo. What came from this Etude Bubble Coloring Hair box? 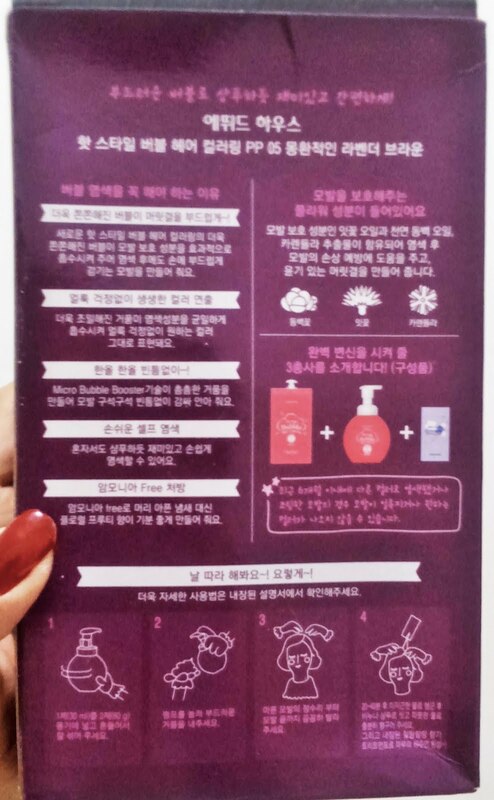 You will find stuff like pink sachet number 1, the bottle number 2, a plastic bag that consist of one plastic to protect your body, and one pair of rubber gloves, and also a purple sachet. Since it's in Korean Language, and I am not Korean, or capable to understand Korean language. And I believe most of us also don't understand Korean language, the best way to know how to use it, of course by searching it at internet. 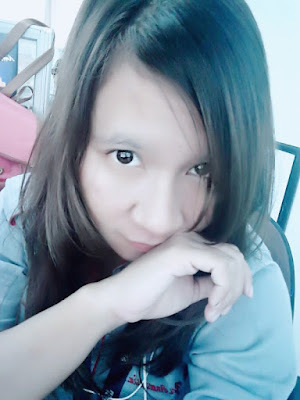 Since you came into my blog (I hope there is any reader too), I will tell you how to use the stuff. Since it's a chemical ingredients, don't forget to protect your self. Wear a gloves and also the plastic that inside the plastic bag. How to use the plastic is wrap it around your neck, let the longest plastic is at behind your body, not at front. I suggest to wear a shirt that you will never use it again, or just take off your clothes. If you see the pink sachet and the number (1) at the sachet, rip the sachet and pour all the liquid at the bottle, which have number (2). After you pour it, mix it by shake the bottle, and after that you can use it like a shampoo. Because when you pump the bottle, the purple bubble will come (I used this product twice, and the bubble always purple, but don't worry, the result will not to be purple). Put the bubble all over your hair, make sure all your hair is covered with the bubble. Since I have a medium length hair, I can't use all the bubble inside the bottle. But it is okay, because it is enough to your hair. After all your hair is covered, leave it from 30 - 45 minutes. Wash your hair with the warm water, make sure you wash all the bubble from your hair. Remember the purple sachet I've mention before? Now you can use it, it is a conditioner to bring you hair back to smooth. Because after you wash your hair, you will feel your hair really dry and looks like a broom hair. 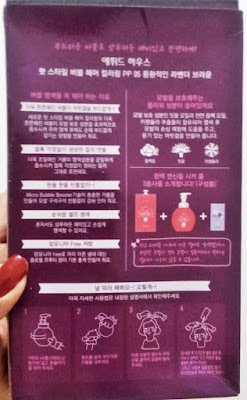 But don't worry, this purple sachet will help you to make your hair smooth again, plus have very good fragrant. Leave it for 5 minutes, after that you wash the conditioner clean. Best way to make your hair color is still in their best color is try not to wash your hair three days after you coloring it. 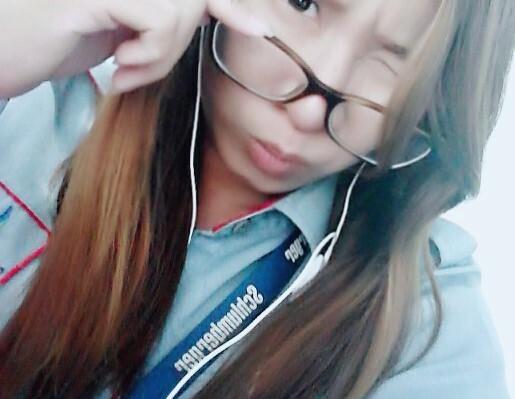 I colored my hair with this brand when I still at my on duty schedule at the field. Coming back from the office at night, then coloring my hair, really simple, and not wasting lots of time. Of course because it's chemical, so you will find the smell is strong, but not as strong as the other coloring hair at the hair dresser. And also, I have allergic about a strange things that touch my skin, but I feel no itch, or hot when I put it at my head skin. Of course I feel a little itch at my neck, because the liquid flow down to my neck, so that's why you have to be very careful and protect your skin with that plastic things. After all, I really love this product, simple, easy, and also not wasting my time. it is so good and pretty. Don't be afraid if the color is not spread evenly, because it's perfectly spread. No need a professional hair dresser to make it perfectly spread. 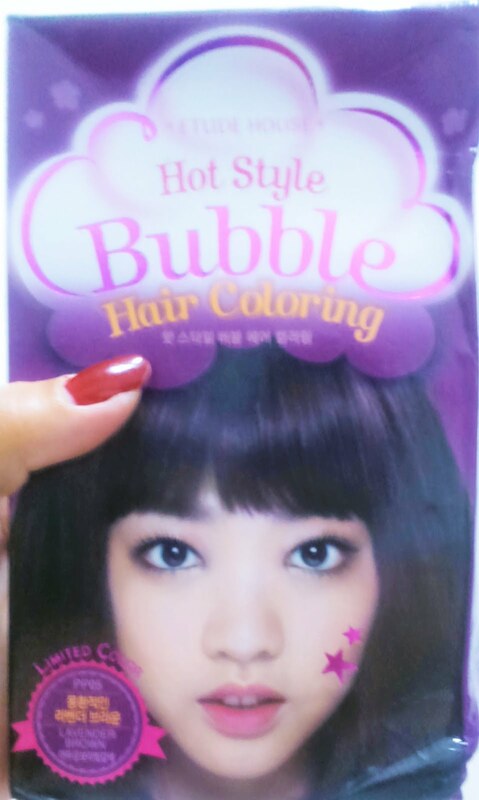 For someone who have really black color hair, should have to be worried, because the color will be seen. All you going to do is just add more bubble into your hair.